Previous post: Are Non-Refundable Flights Really Non-Refundable? We’re all looking for a bargain these days, but it can be all too easy to let your desire to save money fool you into buying something that isn’t the real deal. When you’re shopping for designer goods, you don’t want to end up shelling out for a knock-off; but it’s not always easy to tell what’s fake and what’s real. Of course, the best way to get the “real deal” is to buy from the designer stores themselves, but sometimes this just isn’t possible if you’re on a tight budget. You might feel compelled to try flea markets, garage sales, pawn shops or estate sales instead, or to order online via eBay or another reseller of designer goods. How, in these circumstances, do you know if you’re getting the real deal? If there isn’t any stitching at all (for example, if the lining is glued on), back away. Designer handbags feature extremely high quality stitching in line with their eye-watering retail prices. Wonky and irregular stitching is a dead giveaway that you’re looking at a fake item, as this just wouldn’t pass quality tests for a genuine designer piece. Is there a monogrammed label? This is crucial for some designers, such as Louis Vuitton. The genuine offerings always have a monogram, while the fakes rarely do. Does the leather show natural aging? To go with the Louis Vuitton example again, their bags have leather handles. It starts out a light tan color but will darken with time as oxidization comes into effect. Fake counterparts won’t do this, because they tend to be painted. Look for yellow stitching on the handles too, which suggests natural leather and aging. There’s a reason why designer handbags cost hundreds of dollars (or more!) – they’ll last a long time due to their superior quality and workmanship. You just can’t expect a $50 bag to last forever. Buying quality clothing is always the best bet but this is especially true where designer items are concerned. A real designer bag can’t be picked up for cheap, so you can be confident that the cheap offerings are not the real deal. Buy from an authorized seller. To keep demand high, designer handbags aren’t mass produced so there won’t be all that many available for sale in the first place. Flea market stalls and websites that have a pile of designer bags for sale are usually selling fakes, because designers often put a limit on how many bags can be sold by individual retailers. Most designers only authorize a handful of retailers to sell their pieces. How to find authorized retailers? You can be sure that the designer’s website will be an authorized retailer (for example, the official Louis Vuitton website) but outside of that, Net-a-porter.com sells a lot of luxury and designer brands. Big name department stores like Neiman Marcus and Saks are also good bets and they also sell online so you don’t even need to visit the store itself. Buying outside of these stores means running the risk of wasting your money on a fake. Make sure it’s an authentic design. Fake sellers often claim that a particular style is rare and unique to cover up the fact that it isn’t really part of the designer’s catalog. If possible, confirm that the design is in line with real styles and colors. Have you seen a celebrity showing off a bag with the same design? If the answer’s yes, you can proceed with more confidence. Don’t shop outside of authorized retailers. Designers like Christian Louboutin don’t actually authorize their shoes to be sold online (outside of the official Christian Louboutin website and selected online retailers like Saks, Net-a-Porter, and NeimanMarcus). This means that if your designer shoes are being shipped to you from somewhere in Asia, they aren’t the real deal. If you want to be sure of picking up a genuine pair, stick with big name retailers like Saks. They won’t be cheap, but at least they’ll be real designer items. The Christian Louboutin website has a search function that lets you see which retailers officially stock Louboutins in your area; scour those stores for sales if you’re after a genuine pair. Knock-off men’s underwear (like counterfeit Calvin Kleins) don’t have the right product codes. The correct product codes can usually be found on the Internet so it’s worth arming yourself with these before you start your search to rule out the likelihood of picking up a fake. Where can you find these product codes? Each pack of Calvin Klein 365 underwear should have a sticker on the packaging to confirm the product name, color, size and product code. Even if it’s not a 365, the underwear itself should have a barcode and product code (including color code and size) and there should be a printed version of this on the packaging that matches. For 365 briefs, the product code should also be printed on the back of one of the three labels that you’ll find inside the underwear and you should also find the barcode here too. Make sure that it’s the current waistband. Underwear companies regularly alter the design of the waistband to try to trip up the fakers. Do your homework and make sure that you’re buying a pair with the current waistband; knock-off versions are less likely to have been able to replicate this detail. 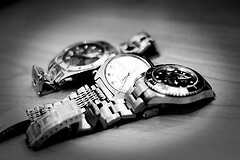 Fake watches are made from inferior materials that don’t weight as much as their designer counterparts. If a watch feels suspiciously light, check for other signs that it might not be the real deal. Counterfeit watches often have a less-than-sturdy clasp that opens and closes extremely easily. Is there an authenticity number on the watch? Rolex and Omega watches, among others, have the serial numbers etched on the outside of the watch. Don’t take this as proof of authenticity, though, as some fakes have made-up serial numbers etched on them to fool unsuspecting consumers. Get the serial number verified by contacting the manufacturer, preferably with a photo included, so that they can send you the necessary details for confirming that the serial number is genuine. If it’s designer you want, make sure that you know what you’re looking for before you part with your cash or you can easily be tricked into buying fake merchandise. To the uninformed, a clever knock-off can look almost identical to a genuine piece of designer gear, so be sure to do your research. Have you got any tips for sussing out fake designer pieces? Have you ever been stuck with a fake when you thought you’d bought a bargain luxury item? Wow, I never knew there was a market for knock-off men’s underwear until now. LOL. I really didn’t. All of the other categories I’ve heard of (and even seen on past trips to NYC), but the men’s underwear knock-off is a new one on me! I didn’t know anything about how leather darkens over time. That is a very useful tip. Someone necessarily help to make significantly articles I might state. That is the very first time I frequented your web page and to this point. This article was not a lot of help to me. I had a fake Louis Vuitton before that passed ALL of the tests! The leather darkend beautifully with age, the stitching was perfect, it had that expensive smell, logos were all there, the lining was the right fabric & sewn on, stitching was right color, but guess what? The bag was as fake as can be! They make high quality fakes now…watch out!